Hey guys, I just bought a brand new Millermatic 211 from Weldfabulous as my first ever welder. I haven't really been having much luck with it. I've tried using it on three separate occasions. The first time was pretty rough. I'm really reluctant to say so, but I think the welder might be defective. I REALLY don't want to go through the trouble of shipping this beast back to Weldfabulous if that's indeed what the problem is, maybe Miller would let me take it into a local authorized service center? 1st thing is that just sort of generally it didn't look like you were getting good shielding gas coverage to me. More important is the second thing; right at the start of the video it looked to me like you had about a full inch of stick out, about twice what you should have had. Couple things- you have a set of Welpers, why don't you use them? As mentioned- your stickup is too long. If you place the welpers on the nozzle with the cutting edge UP you'll have just about the right amount of stickout. Can't see the Tip to work distance in the video but that makes a difference also. Incorrect wire tension can also cause your problems- the wire isn't feeding out at the correct rate despite the Wire Speed setting on the machine. Try those and see if it makes a difference. I tried changing stickout, I even got so far in that I shorted a tip. Didn't make any discernible difference. Also tried changing the wire tension, but no luck with that either. Trust me I've checked or tried changing just about every possible source of the problem that could be the result of improper set-up. 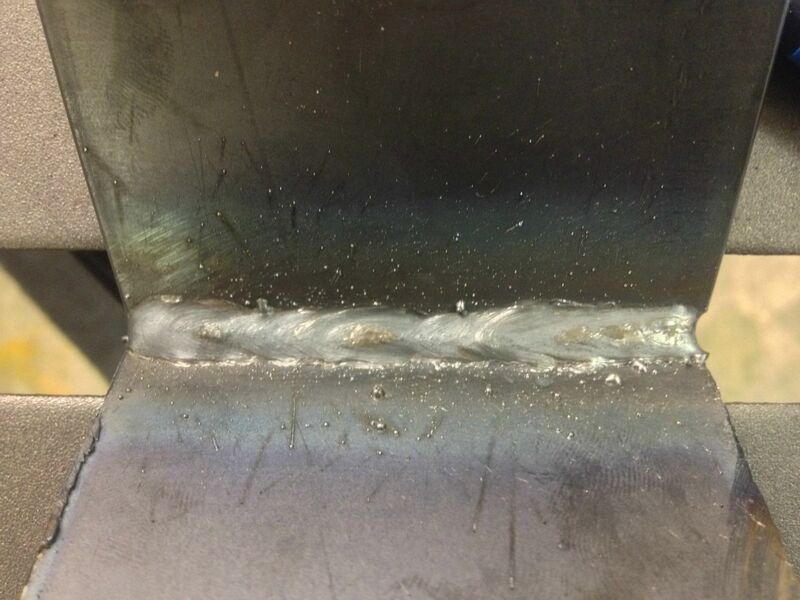 Spent all day Sunday going through what I thought may be wrong plus what everyone on WeldingWeb said to check. After Miller heard it was overtemping on me they said take it into a service center for inspection, so it's currently sitting at True Arc in Elk Grove. Glad I went with Miller, the ability to take it in somewhere local is nice. I just hope it doesn't get scratched or dinged in the process, otherwise I might just go postal. Last edited by kestrel452; 02-11-2014, 10:38 AM. Ok- bad Rectifier then Miller will definitely fix it and hope yer back at it soon. Can't wait to start practicing laying beads for real! I was thinking wrong polarity, I'm sure checked that though. Try this, turn off auto set, assuming your using .030 ER 70, 75AR/25co2 , set your voltage to 47-49vac and your wire speed to 49-50 ion, input 220 vac NOT 110vac, and let me know what happens. I just picked up the machine from True Arc, and to my surprise the technician said the unit was fine. Well, I started using it, and it seemed okay for little bit. But, i started getting the same exact problems even with a brand new flow meter affixed to the gas bottle and 30CFH of C25 flowing. I wasn't even exceeding the duty cycle of the welder, and it kept tripping its internal breaker. I could keep hearing the machine "struggling" every time right before it'd turn itself off. Once or twice after turning the power switch back on after it killed itself I saw the overtemp light flashing, but not every time. I took a video which I'm attempting to upload to YouTube if my iPhone starts cooperating with me, and in it you can see the machine just dies with my gun stuck to the piece because the wire gets melted to the puddle. I thought maybe Miller was right when I called them that the welder wasn't getting enough voltage, but I read a perfect 120V across each hot leg at the end of the 10 gauge cord i have coming from my 8000W generator. I also checked the electrical continuity from the clamp to just about every point on my 30FX table with my multimeter and it was just fine, and cleaned the welding table surface with a 120 grit flap disc also just to eliminate a dirty work surface as a possible variable. I'm really displeased thusfar with my experience of owning this MIG welder, but I don't necessarily blame Miller Electric for the problem, they've been adequately helpful up to this point and I don't expect them to just leave me hanging. I love the 625 X-Treme I bought, as well as the Miller helmet and 30FX table I got, it's just this welder that's giving me a tough time. I wish Miller had hours tomorrow so I could call them, my patience is over with this thing. Last edited by kestrel452; 02-14-2014, 08:57 PM. Just something to check, are you sure the drive rollers are in the correct orientation for the wire size you are using? How is the tension on the spool? It should be very loose. to fix it. Document your trouble and their repair attempts. Worse case call miller and get them to step in. You purchased an item that is not working as intended. Be the squeeky wheel- some one will listen and take care of you. 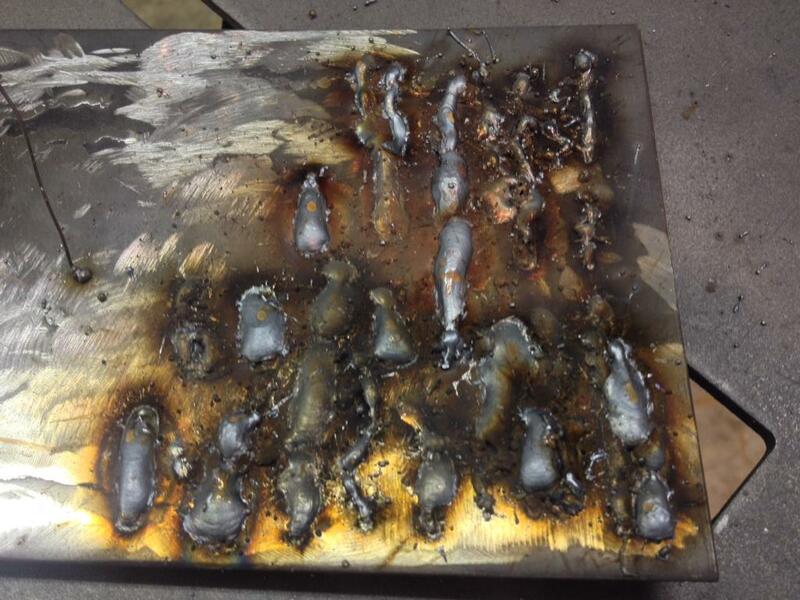 There is nothing wrong with the welder, it is you that is causing the issues. Nice new, welder, gloves, jacket and face bucket. Get a book out and read it, then you should solve your problems. And what evidence do you have, even after checking every conceivable source of setup error that it is still my fault? I'm not an idiot, I can use the information I've learned and that which was been given to me by those more experienced to solve by process of elimination what I could have set up wrong. There is nothing left to examine, the welder won't work properly. All he is trying to say ------------ IS IF ALL FAILS READ THE MANUAL.